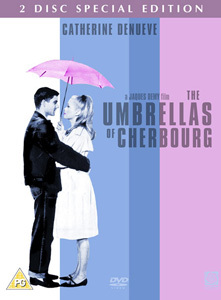 Jacques Demy's 1964 masterpiece is a pop-art opera, or, to borrow the director's own description, a film in song. 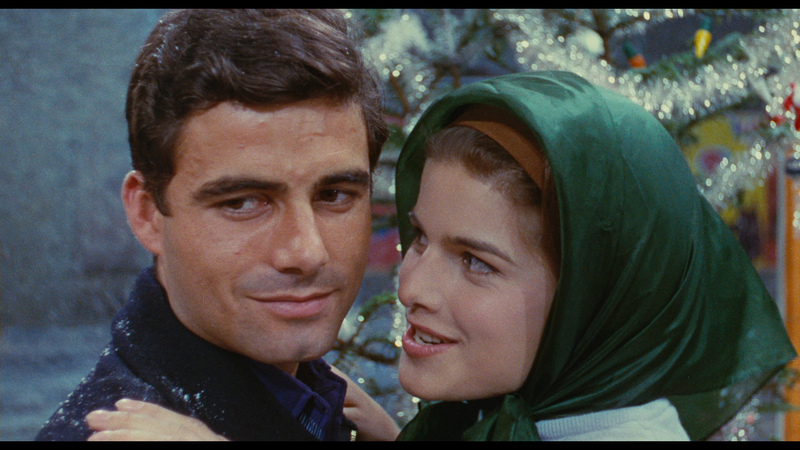 This simple romantic tragedy begins in 1957. 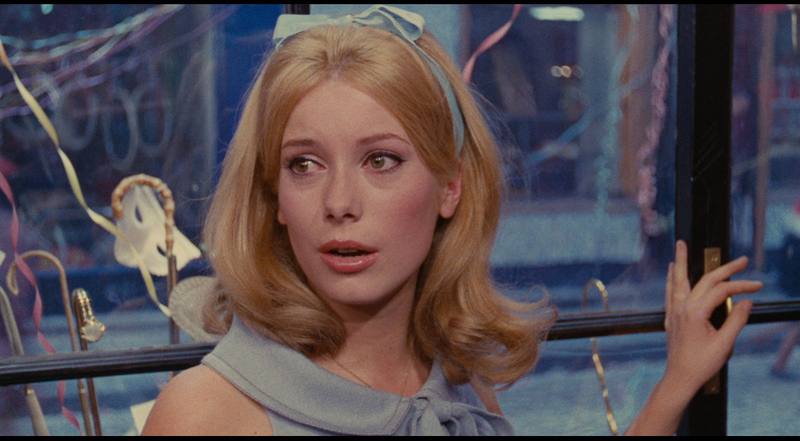 Guy Foucher (Nino Castelnuovo), a 20-year-old French auto mechanic, has fallen in love with 17-year-old Geneviève Emery (a luminous Catherine Deneuve), an employee in her widowed mother's chic but financially embattled umbrella shop. 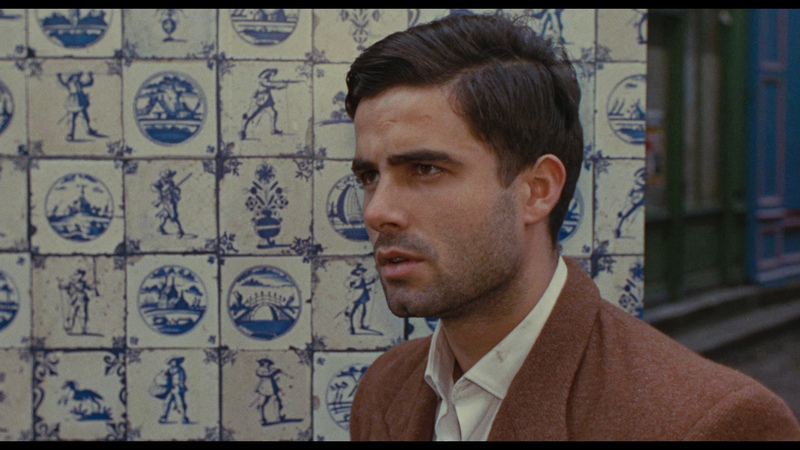 On the evening before Guy is to leave for a two-year tour of combat in Algeria, he and Geneviève make love. 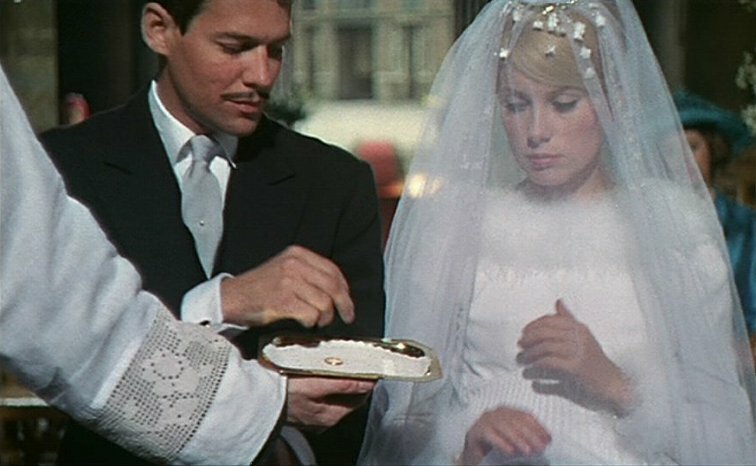 She becomes pregnant and must choose between waiting for Guy's return or accepting an offer of marriage from a wealthy diamond merchant (Marc Michel, reprising his role from Demy's masterful debut, Lola). 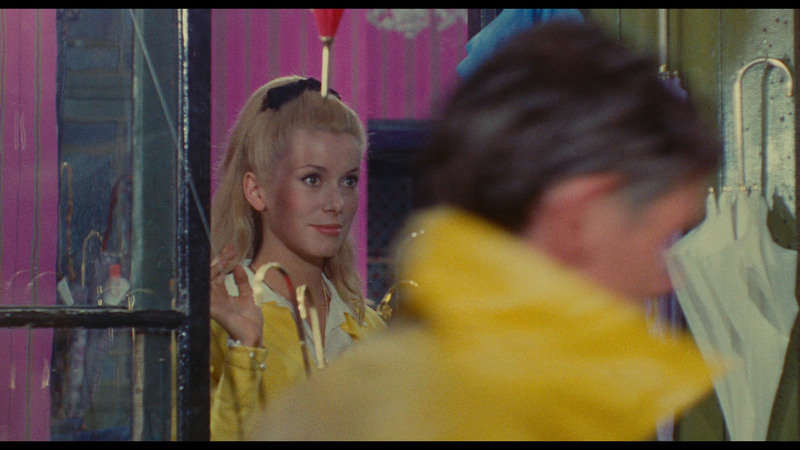 A completely sung movie, The Umbrellas of Cherbourg is closest in form to a cinematic opera. 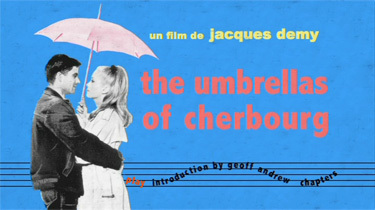 Composer Michel Legrand composed the score, modeling it around the patterns of everyday conversation. 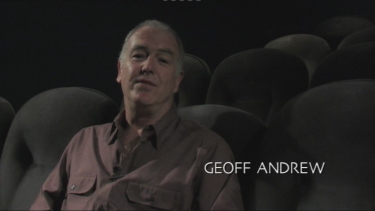 Big thanks to Henrik Sylow, Gregory Meshman and Markus Mathis for the DVD screen captures! 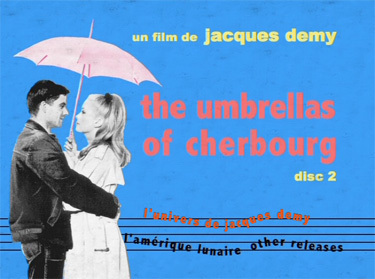 ADDITION: Criterion Collection - Region 'A' - Blu-rays (July 2014): Firstly, as you are probably aware, this is Criterion's The Umbrellas of Cherbourg Blu-ray from their, much anticipated, The Essential Jacques Demy boxset. It starts with a screen that states: 'The Umbrellas of Cherbourg was shot on 35mm silver colour stock in a 1.85 panoramic format was restored in 2013 by the laboratory Digimage. The restoration of the images was made in digital 2K from a 2K scan of the interpositive b&w trichrome selection. Mathieu Demy supervised the colour grading. 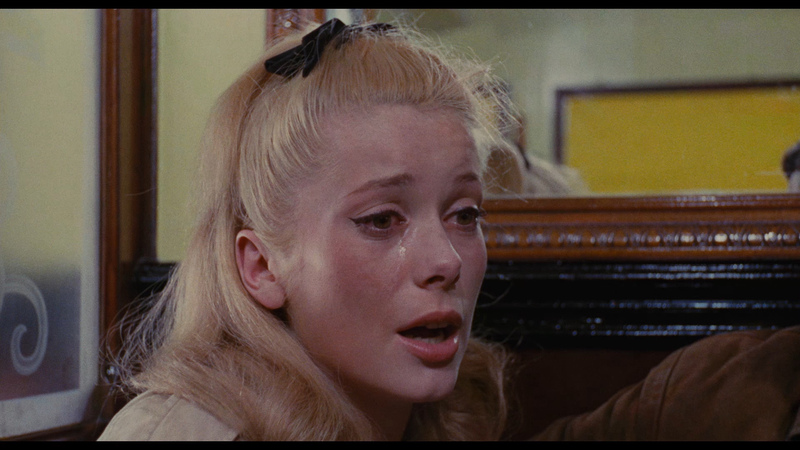 The sound restoration was carried out using a 1963 mono mix, the 1992 dolby SR optical negative and the 1992 multitrack tapes." So, like the Studio Canal Blu-ray, this is also in 1.85:1 and it matches up well - both coming from the same restoration. The Criterion is a bit more robust and their colors are a tad richer in spots. For the most part it looks exactly the same. I found the presentation, absolutely, marvelous on my system. 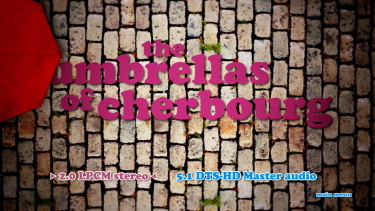 Criterion use a DTS-HD Master 5.1 surround at 2951 kbps for the audio. My ears couldn't differentiate from the Surround option of the Studio Canal where we stated "It is crisp, tight, with hints of depth - voices sound rich carrying appropriate emotion - especially supporting the higher end of female vocals which could tend to sound brittle on the SDs. 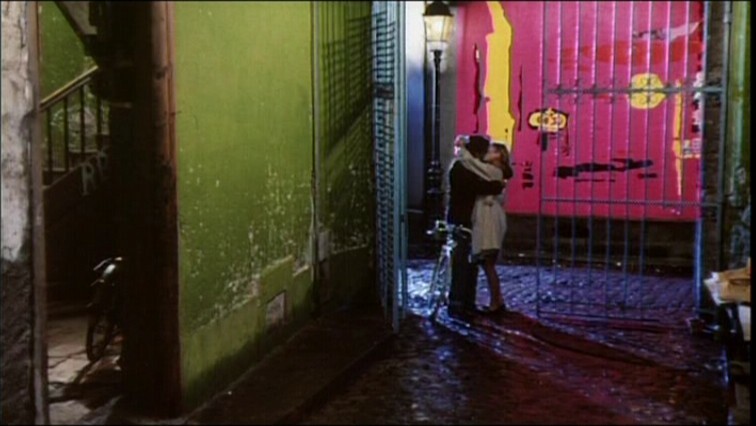 Even the opening echoes in the garage sound perfect." 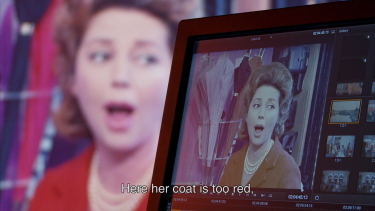 Criterion offer optional English subtitles and their Blu-ray disc is region 'A'-locked. Criterion add plenty of supplements including the 55-minute Once Upon a Time . 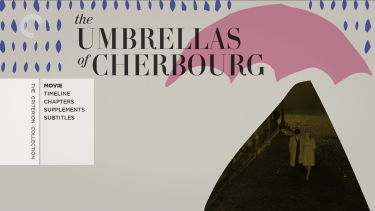 . . “The Umbrellas of Cherbourg,” 2008 documentary - also found on the Studio Canal. 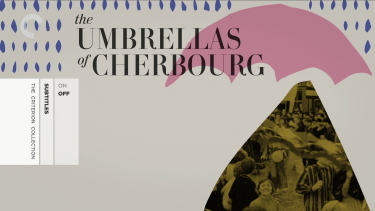 There is a new 23-minute interview with film scholar Rodney Hill, He talks about The Umbrellas of Cherbourg and how it embodies characteristics of both the French New Wave and the "tradition of quality" style of French filmmaking. 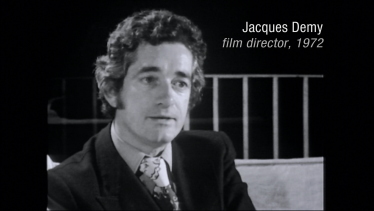 There is an 11-minute French television (program Cinepanorama) interview from 1964 featuring director Jacques Demy and composer Michel Legrand discussing the film and audio recordings of interviews with actor Catherine Deneuve from 1983 for 5-minutes and Legrand - from 1991 for 21-minutes at the National Film Theatre in London. Included is the same restoration demonstration found on the European Blu-ray release and a trailer. All the Criterion extras are in 1080P. 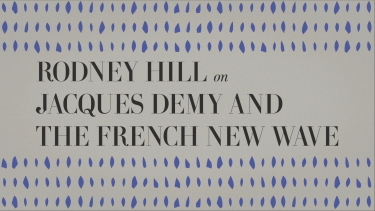 The Demy package includes a booklet featuring essays by critics Ginette Vincendeau, Terrence Rafferty, Jim Ridley, Jonathan Rosenbaum, Anne E. Duggan, and Geoff Andrew, and a postscript by Berthomé. 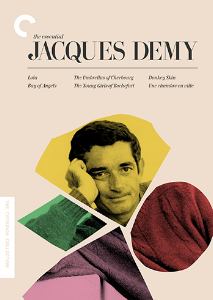 This is a great start to The Essential Jacques Demy, which we hope to continue covering this week. Stay tuned! 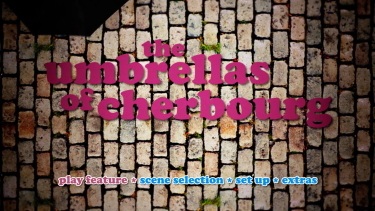 ADDITION: Studio Canal 50th Anniversary - Region 'B' - Blu-rays (February 2014): The new, restored, 1080P image quality of The Umbrellas of Cherbourg looks wonderful. It strikes a nice balance between some of the darker and overly bright SDs - most over a decade old. 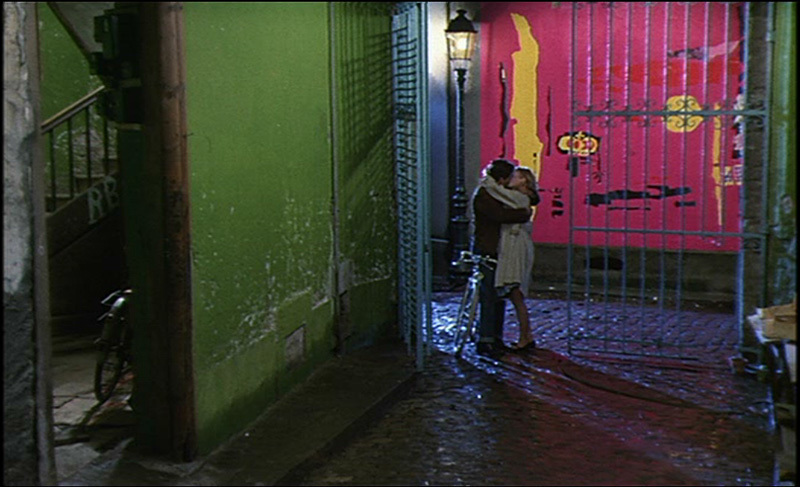 Detail rises notably and colors are rich and full without looking manipulated. 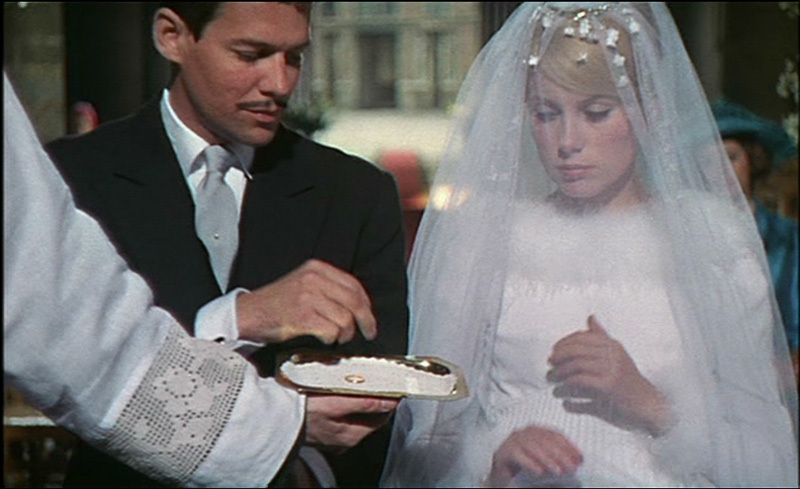 We may lose a sliver of information from the bottom of the frame on the Optimum and Koch editions but seems to gain on most DVDs on the side edges. What is most noticeable are the lack of artifacts that appears on the SD discs. 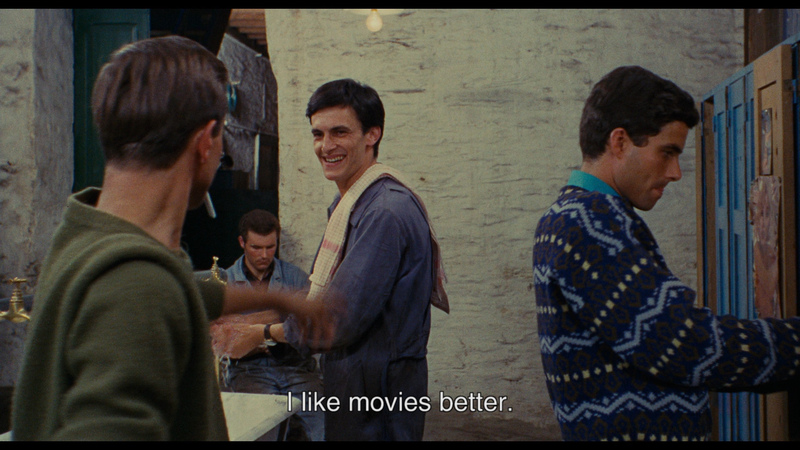 This is dual-layered with a high bitrate transferred in the 1.85:1 aspect ratio. I can find no valid reason to alter the AR from its original 1.66:1 (as all the DVDs are!). This is clean (a few light scratches) and smooth while retaining the film textures. I was very impressed. 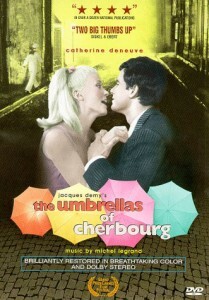 Michel Legrand's score is beyond 'iconic' - venturing to its own category of greatness in film scores. This was what I was most looking forward to - and I was not disappointed. The Blu-ray sounds tremendous. 2 Lossless tracks with the option of the 5.1 surround and 2.0 channel stereo. It is crisp, tight, with hints of depth - voices sound rich carrying appropriate emotion - especially supporting the higher end of female vocals which could tend to sound brittle on the SDs. Even the opening echoes in the garage sound perfect. 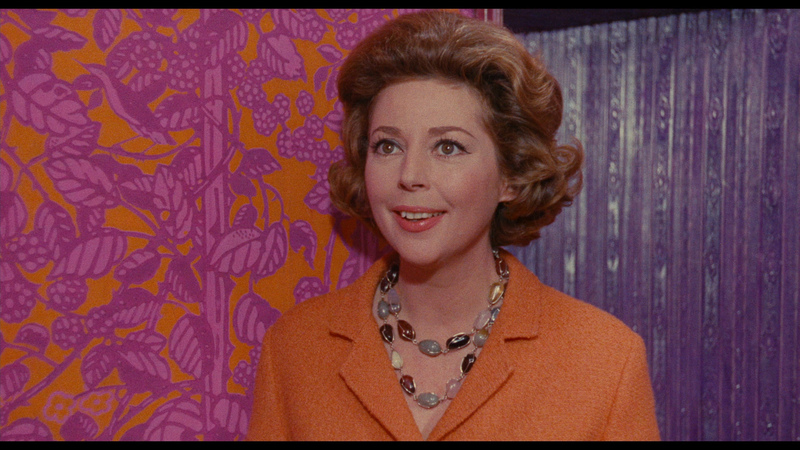 Magnificent and the English subtitles (via remote) are removable but the disc is region 'B'-locked. Studio Canal have stacked the Blu-ray with extras - some new (to me). 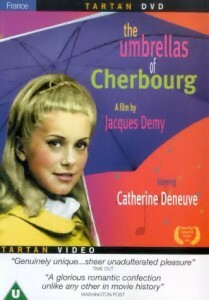 There is an audio interview with Catherine Deneueve lasting over an hour - talking about her biography. It is in English. 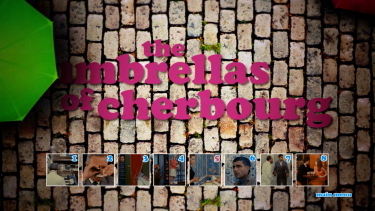 Geoff Andrew talks about Umbrellas of Cherbourg for a dozen minutes as does French comedienne Virginie Ledoyen briefly. 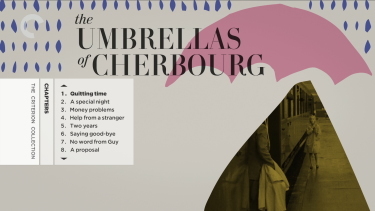 There is a 50-minute documentary entitled Once Upon A Time... 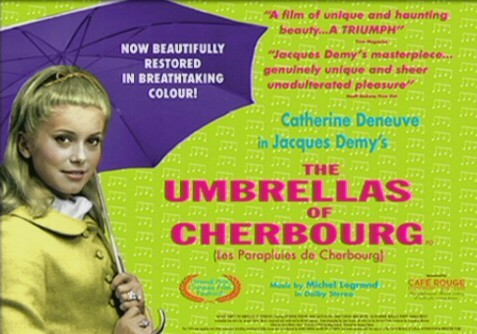 The Umbrellas of Cherbourg by Marie Genin and Serge July with a lot of information on Demy. 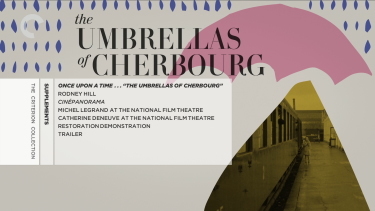 Plus we get the 1.5 hour The World of Jacques Demy as many have seen before and a 6-minute piece on the Restoration of The Umbrellas of Cherbourg, a stills gallery - and original and new 2013 trailer. No-brainer buy of the year in my opinion. 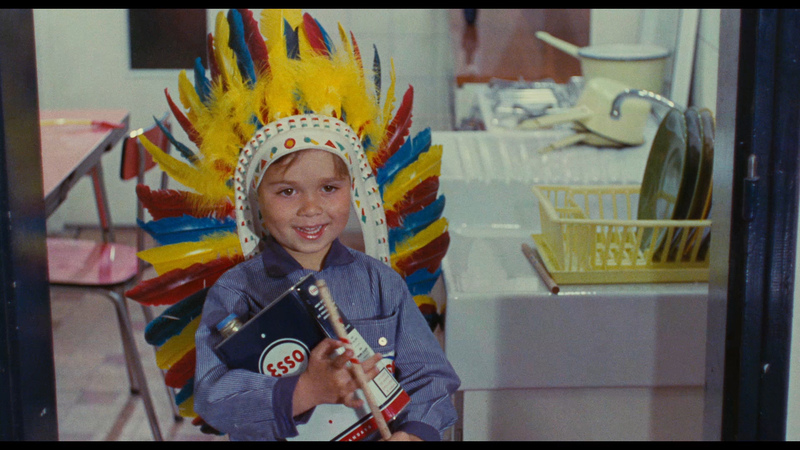 I can't say enough about the film and I am so very pleased with this 50th Anniversary Blu-ray. The Umbrellas of Cherbourg is one film I always wanted in this format. We will still research the AR change! The lossless audio is pure joy! Our highest recommendation! Optimum's transfer appears to be based upon the same newly restored and digitally remastered print, as the Koch international transfer. Both have the same original aspect ration of 1.63:1, both have the same cutting of the frame, which differs from the France Video DVD frame, by missing 2.5% (20px@800px) both left and right, but having 3% (15px@494px) more at the bottom of the frame. Looking at Optimum versus France Video, both have the same degree of edge enhancement (~0,4%), and Optimum is "grainer", which appears to be based upon lowered contrast and increased brightness on France Video, making grain, and edge enhancements, less visible. If you increase brightness to 35-40 in PhotoShop, you reach a similar visual impression. 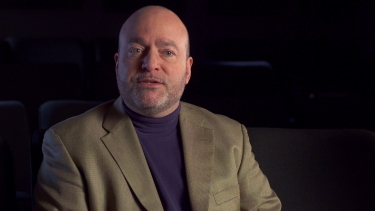 I disagree with Gary on France Video being better than Optimum and Koch. 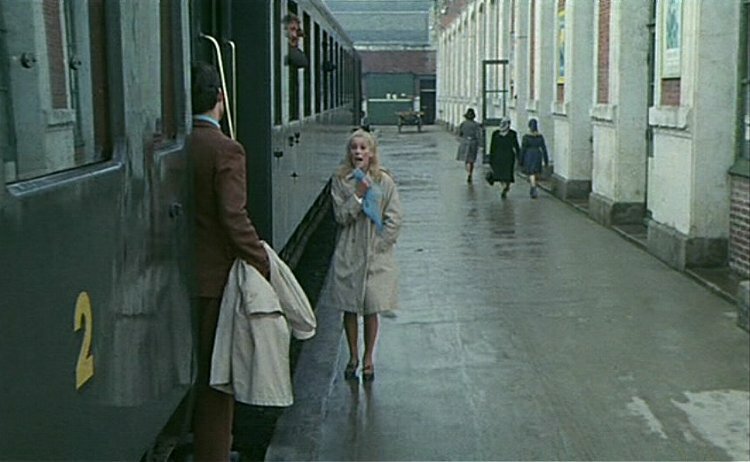 The colour palette on France Video is flat and "greyish", versus a strong (arguable too strong perhaps) saturated Optimum. 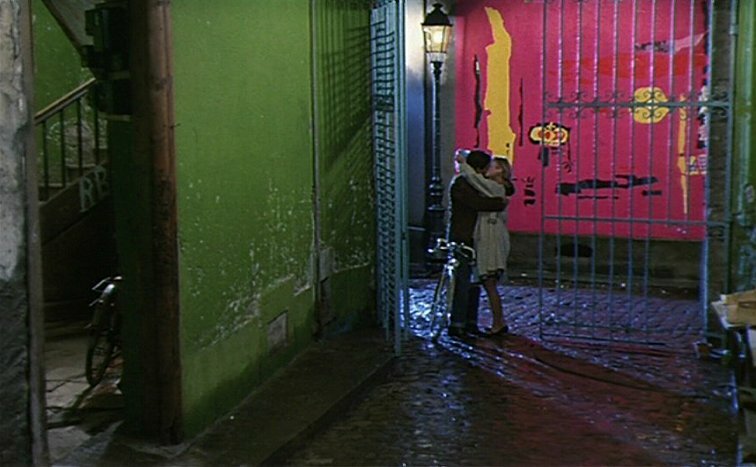 For me, this film has always been about bombarding the senses with rich strong colours, so perhaps my inner view of this film affects my judgement. 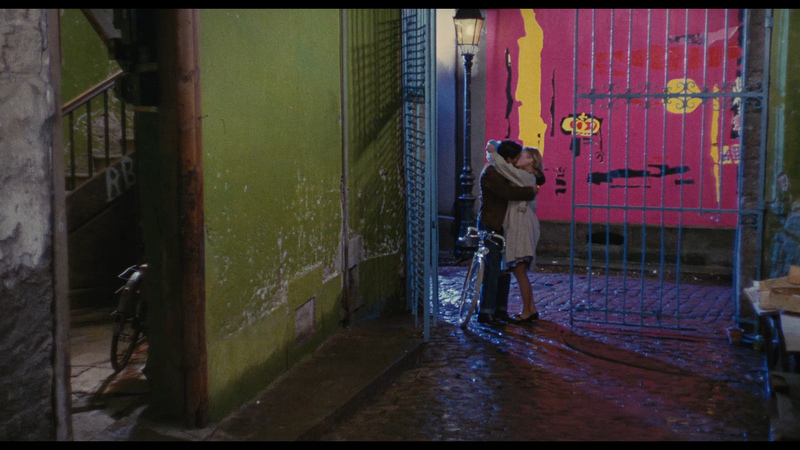 But the France Video is too boring in its colour palette. While France Video most likely has the most accurate frame presentation of the film, Optimum and Koch most likely has the most accurate colour presentation. 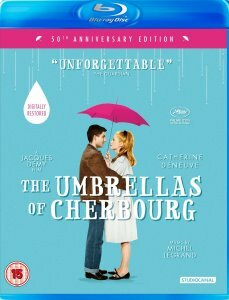 NOTE: Concerning the non-removable subtitles, it was forced upon Optimum by a contractual obligation (not to affect sales in France) in order to release the edition. 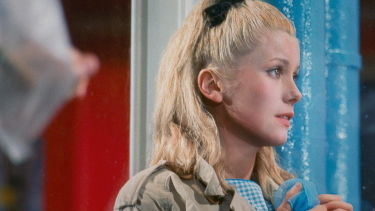 Optimum only has the original French mono (presented in 2.0 Dolby Digital), versus Koch who has a 5.1 Dolby Digital surround mix. 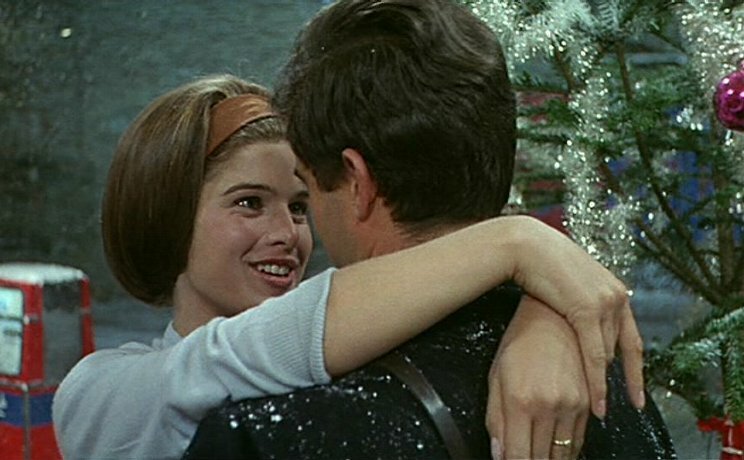 I have never heard it, but it should be the mono track in the fronts for dialogue and singing, and occasionally the rears for music. 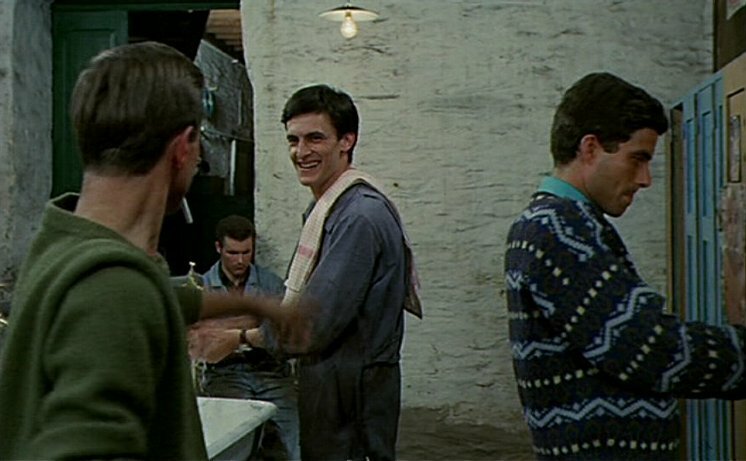 I have to admit, my purist side take the better of me, when it comes to films like this and creating new "improved" soundmixes. I will maintain boring and prefer the old original mono. 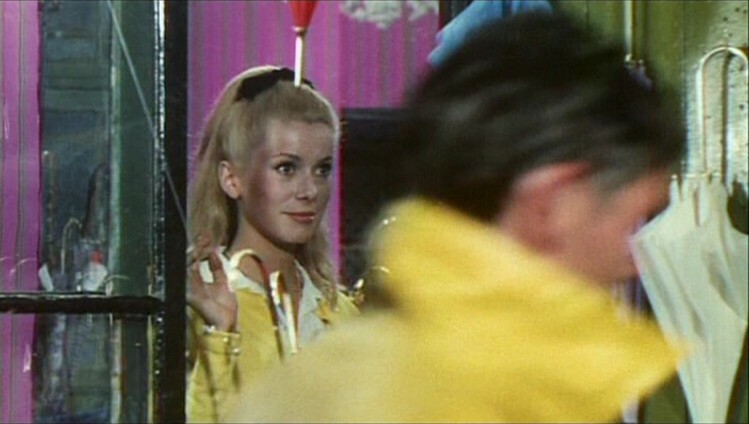 The film itself is introduced by National Film Theatre programmer and Film historian Geoff Andrew, where he talks about Demy and why this film is so wonderful. A superb and heartfelt introduction. 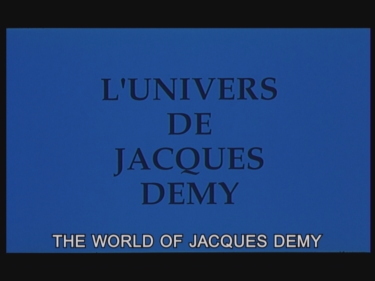 Where Koch only has 7 minutes of excerpts from Agnès Varda's documentary "L'Univers de Jacques Demy", Optimum has on disc 2 the entire documentary. 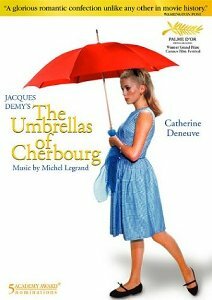 It was released in the US by Wellspring, December 9, 2003. 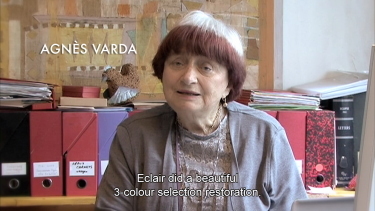 It is one incredible documentary, made with love and admiration by Demy's widow Varda, where she takes us thru his films, supported by interviews with Michel Legrand, Anouk Aimée, Catherine Deneuve, Harrison Ford and others. 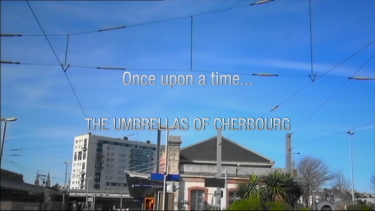 The documentary is presented in 1.51:1 full screen. 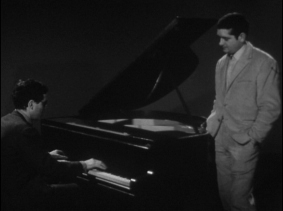 Also to be found on Disc 2 is a rare short film by Francois Reichenbach from 1962, "L'Amérique lunaire", with score by Michel Legrand. In a nutshell the new Optimum has the same image as the NTSC Koch (but PAL converted) which means it has the same framing/cropping. Skin tones (see captures 5 + 6) still look superior to me in the France Video Distribution DVD. 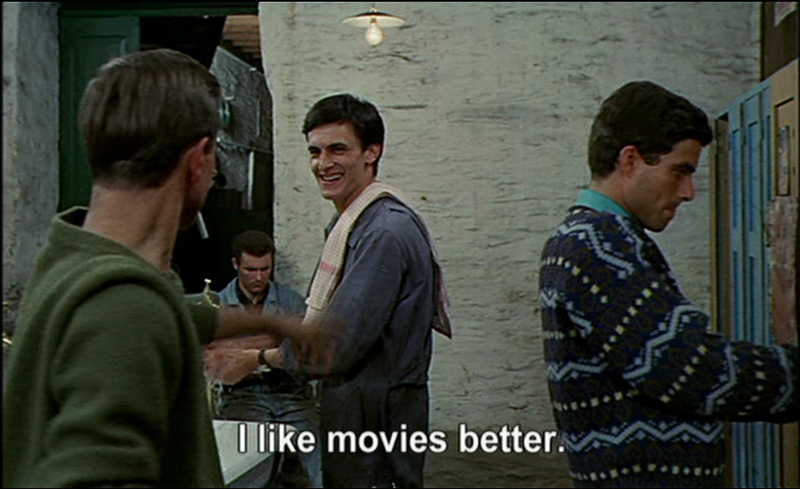 I still find the French DVD the sharpest. 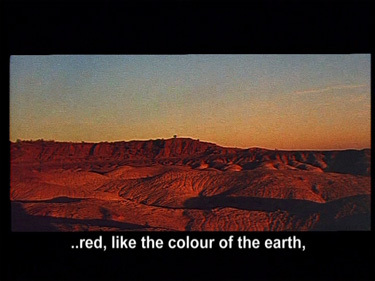 The Optimum's big negative is that it has non-removable subtitles (possibly player generated) - in a kind of big gaudy font too. It does not have the 5.1 audio option if that was important to you. 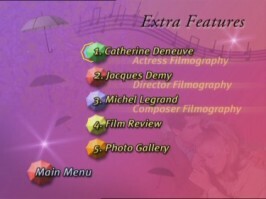 The Optimum's biggest plus' are the extras (mentioned above) with English subtitles. 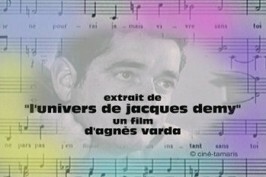 Overall the Optimum and Koch are decent releases but I prefer the de-saturated France Video Distribution DVD, but its nice to have Agnès Varda's documentary "L'Univers de Jacques Demy" translated on the Optimum. ADDITION April 2004 (Koch International) - The new Koch may be better than I anticipated, but it is still plagued with deficiencies. It is less sharp than the French Distribution DVD and appears somewhat heavy (saturated), also too dark and I believe I see some very slight edge enhancement when I zoom in (32X - only did with capture # 1). The colors are slightly adjusted as well with some brightness boosting (see train station walls in capture # 4) and overly red skin tones (see capture # 2 and the groom's face in capture # 5). The Koch is severely cropped on the left edge, marginally on the right and top edge, but appears to show the French Distribution et all are cropped on the bottom edge very slightly. On the audio front - Koch offers the original 2.0 track, and a boosted 5.1 surround. 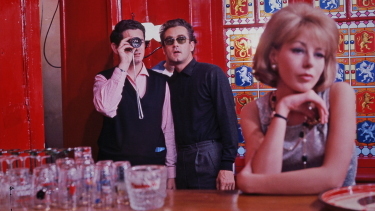 The Extras on the Koch are simply a sample of "The Universe of Jacques Demy" film which is shown in its entirety in the 2nd disc of the French Distribution DVD (sans Eng. subs). 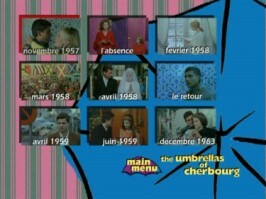 The French Distribution DVD remains the definitive version! I have a lot to say about these releases. Both the Fox and Tartan editions are cropped. Horizontally in the Tartan Region 2 (Look at the light bulb in Capture Number ONE) and vertically in the Fox/Lorber Region 0 (see the Christmas ornament on the right in capture number SIX). Both are almost equally incorrect. It is obvious to see the difference by looking at the French Limited Edition Box-set version which is in the original aspect ratio. 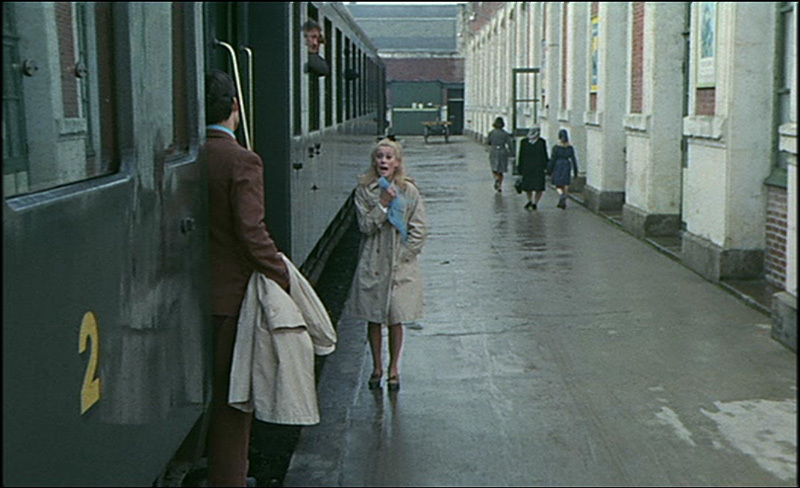 The Image quality: The France Video Distribution has an anamorphic image is wonderful. Good contrast and sharp detail. The Tartan release suffers from over contrasting and visible edge enhancement. The Fox edition even with its artificial manipulation it does not have the same vibrant colors as either of the other 2. 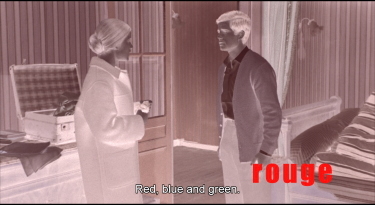 (Look at capture THREE) The Tartan appears washed out. 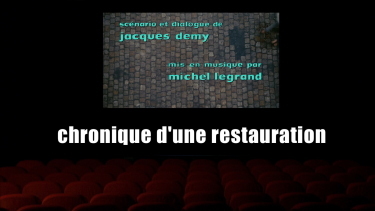 The France Video Distribution wins easily in image comparison. 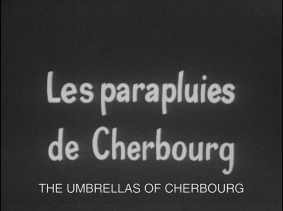 Sub-titles: The Fox Lorber has yellow removable English in a smallish font. 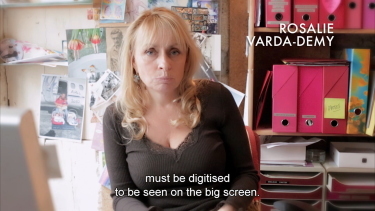 The Tartan sub-titles are non-removable in a large white font. Removable is always more desirable than burned in. Fox wins again. 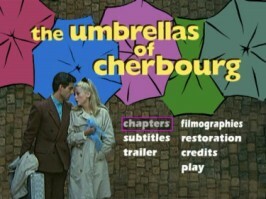 The France Video Distribution has removable English and Spanish subtitles. The Extras: Both the Tartan and Fox are pretty scant in this category. The Fox has a widescreen trailer with removable subs which is a nice addition not available on the Tartan. 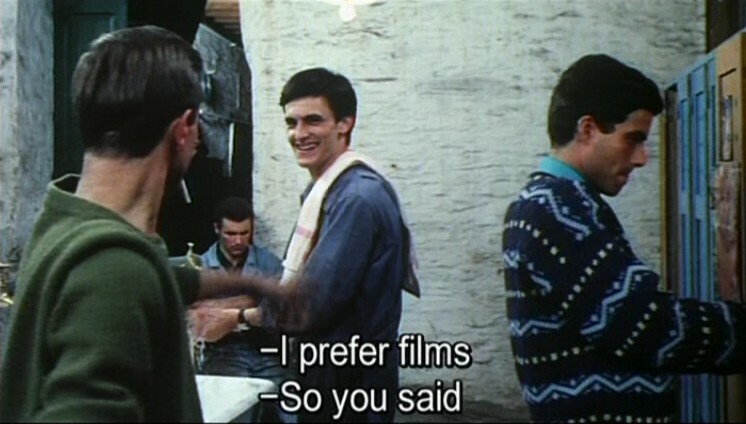 Both have filmography static pages. 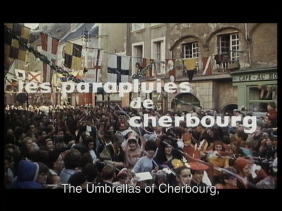 The clear winner with an entire extras disc is the France Video Distribution edition. 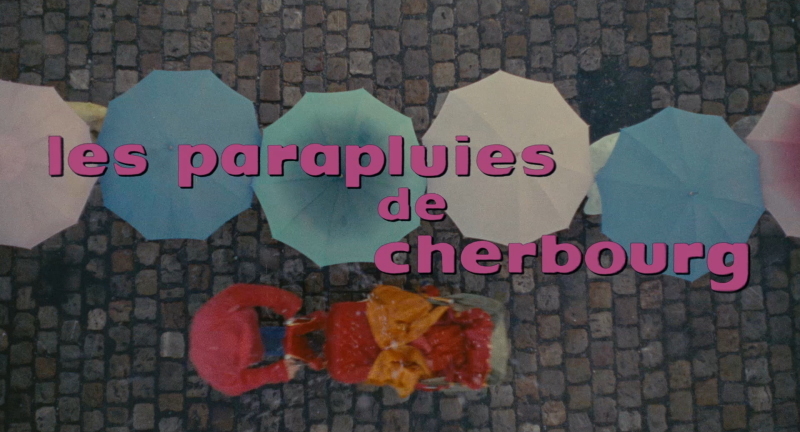 It has a film by the Agnes Varda (wife of Jacques Demy). Sound: Only using my own ear, it sounds like the Tartan is definitely sharper than the Fox. I have nothing to back this up, but this is what I think I am hearing. the France Video Distribution has MPEG-2 which is not conversant to all region free players. 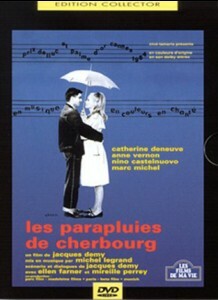 The France Video Distribution DVD is the definitive one for this film. 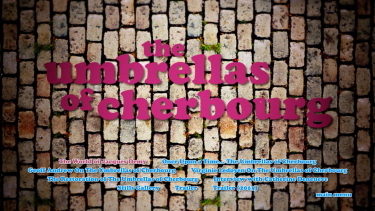 The single disc R2 France version of it is out of print, so better pick up the 2 disc'er while you can. NOTE: The 2nd Disc on the France Video Distribution DVD is in French with NO subtitles.